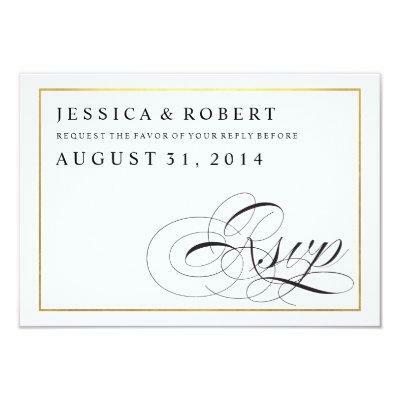 A traditional and elegant black and white calligraphy script wedding rsvp card with gold border. "Rsvp" script on one side with reply by date, and guest name and attendance, meal choice on the other side. Delete the lines in the text field that you dont need. You can also remove the gold border.